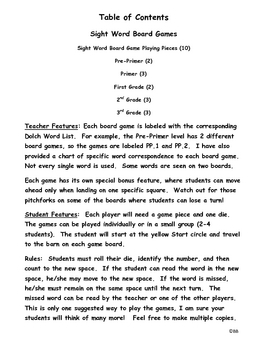 This file features 13 game boards containing most of the 220 words found on the Dolch Word List and 10 game pieces. 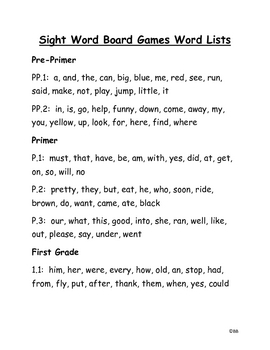 Students will love playing these games so much, they won't even realize they are increasing their sight word recall and reading fluency! 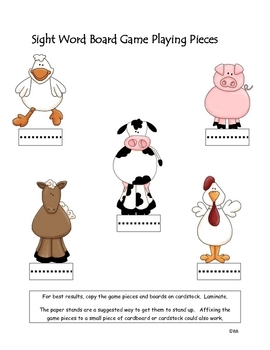 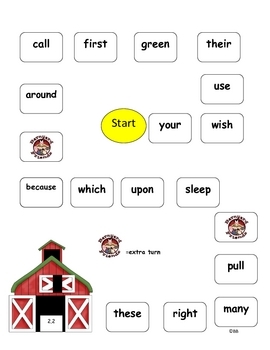 These sight word board games can be used in a center or even be sent home with students for extra practice for sight word mastery.